Are Your Car's Airbags Ready for Retirement? Could there come a point where airbags need to be replaced on every vehicle, no matter the supplier? Industry and government officials alike are beginning to ask whether airbags simply grow too old to work properly any more. Following the recent death of a Canadian motorist, federal safety regulators in the U.S. have expanded a probe that could lead to the recall of 8 million or more vehicles to replace faulty airbags. Ultimately, as many as 50 million vehicles using Takata airbags could face recall. But the latest probe involves a different supplier, American-based ARC Automotive. Both the Takata and ARC airbags may over-inflate during a crash, sending deadly shrapnel spewing into the passenger compartment. But a series of separate recalls announced since April of this year targeted more than 4.5 million other vehicles whose airbags may not function at all during a crash. And that could be just a hint of an even bigger issue that could eventually pose a safety risk for virtually every vehicle on the road. That’s certainly the case with the Takata airbags. By some estimates, costs related to the problem could cost Takata and its customers anywhere from $12 billion to $20 billion. According to research data released by the National Highway Traffic Safety Administration, tests have shown that airbags produced by the Japanese supplier for vehicles dating back to the 2001 to 2003 model-years may have a failure rate of as much as 50 percent. Newer models are expected to see increased failures as they age, as well. 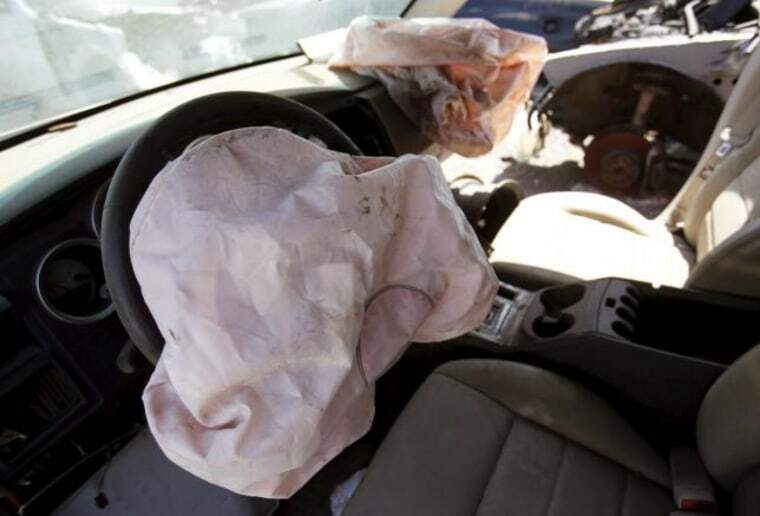 Takata airbags are particularly prone to age-related failures, according to the NHTSA and other industry experts. The company used a highly volatile chemical, ammonium nitrate, in the inflator modules that produce the hot gases that propel its airbags out of their hiding place. An industry-funded research team this year concluded that the pyrotechnic chemical is especially sensitive to extended use in hot, damp climates, like southern Florida, but will eventually break down even in cooler, drier conditions. Newer Takata airbags have added a desiccant, a chemical that absorbs moisture — much like the little packets found in everything from food to consumer electronics packaging. But, even then, many experts question whether that approach will prevent a breakdown of the ammonium nitrate compound for the life of a vehicle. Actually, it is something that automakers are beginning to come to grips with, said the senior executive who agreed to discuss the airbag issue on background. “It is something we have to address as an industry,” he said, adding that the NHTSA will need to take a leading role. Agency officials said in a written comment that design or manufacturing issues appear to be the likely cause of the ARC Automotive airbag failure, rather than aging — though that latter issue has not yet been ruled out. Part of the problem is the varying conditions those airbags may face. Some cars struggle through lengthy winters, and temperatures dropping to -20 Fahrenheit. Others sit in desert sun, where ambient temperatures hit 120 degrees — and where the figure can reach 200 at the top of the instrument panel. Humidity can vary just as widely. And some cars may run over ruts, tracks and dirt trails that are rough enough to vibrate fillings out of a driver’s teeth — and potentially break down chemical inflators. While federal regulators are especially worried about the oldest of the Takata airbags still on the road, they insist that newer models remain safe to drive. Indeed, while as many as 15 people may have been killed by malfunctioning Takata airbags worldwide, the NHTSA and safety advocates contend airbags routinely saves hundreds, perhaps thousands of lives each year in the U.S. alone, so they advise motorists that the technology shouldn’t be disabled.